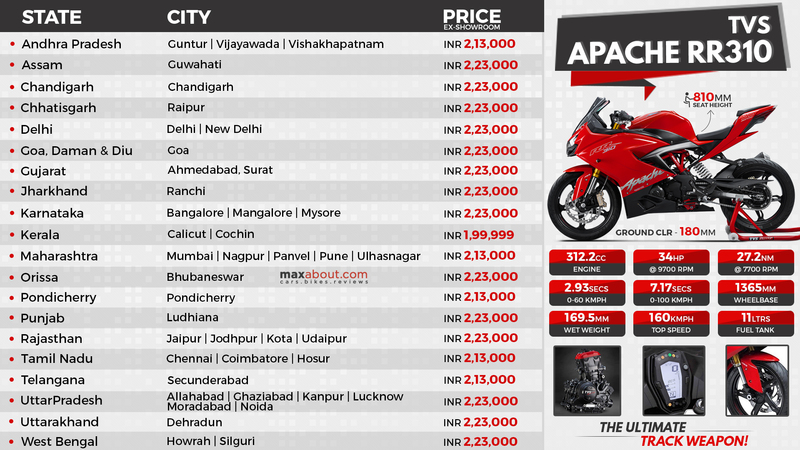 TVS has increased the price of Apache RR 310 in India, the bike is now priced @ INR 2,23,000 (ex-showroom Delhi). The premium racer is one of its kind product in this segment, carrying a powerful 312.2cc, single cylinder engine. The motor is reverse inclined, liquid cooled and fuel injected as standard. Downloaded 118 times this week.